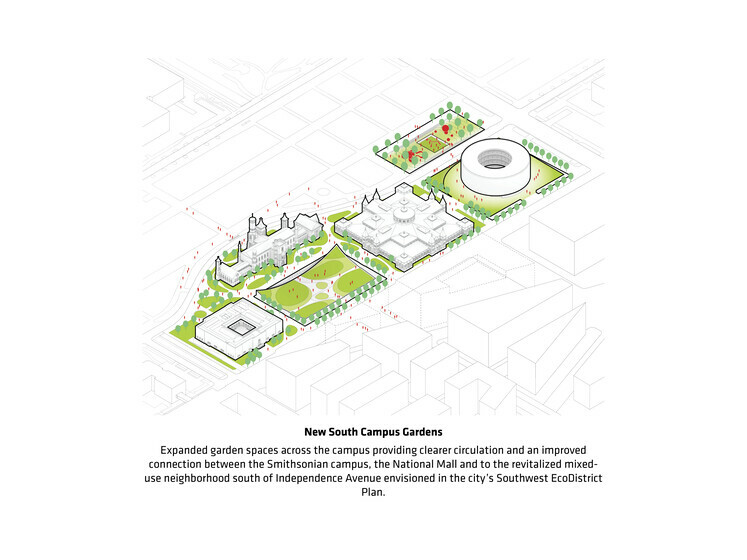 This comprehensive masterplan integrates five components of the Smithsonian’s southern campus on the National Mall, and provides a unique architectural and sustainability vision. 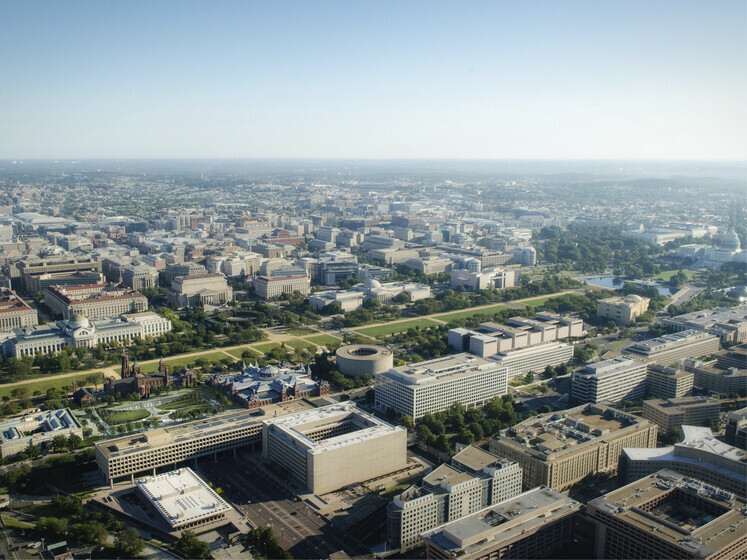 By reimagining the central quad area and connecting it to the Smithsonian Castle, the Freer Gallery, the Arts & Industries Building, and the Hirshhorn Museum & Sculpture Garden, the project upgrades exhibition and conservation areas while greatly reducing energy consumption and carbon emissions. 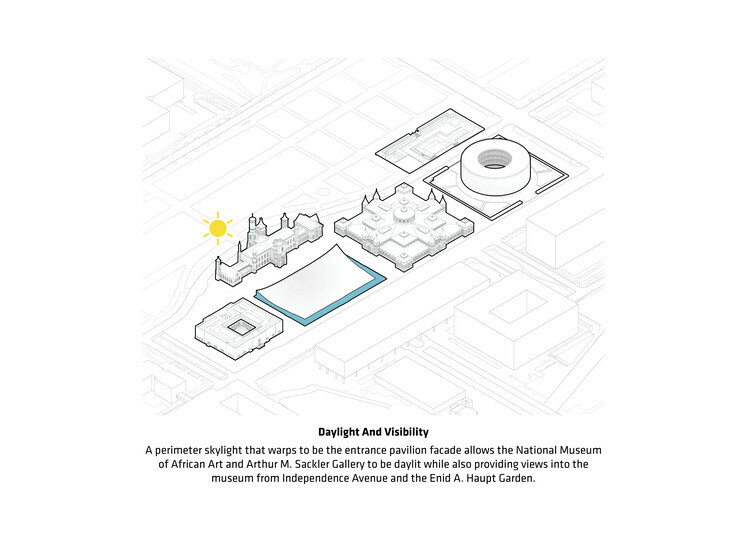 The raised courtyards offer visitors ample daylight for the below grade exhibition spaces for which our team provided guidance and analysis to the design team. Atelier Ten contributed to the masterplan’s implementation plan by providing sustainability narratives for each component, identifying key opportunities to engage in sustainable construction. One of these opportunities included creating a concise plan for the renovation and long term upgrades of all HVAC systems which contributed to the Smithsonian’s energy and carbon reduction goals. 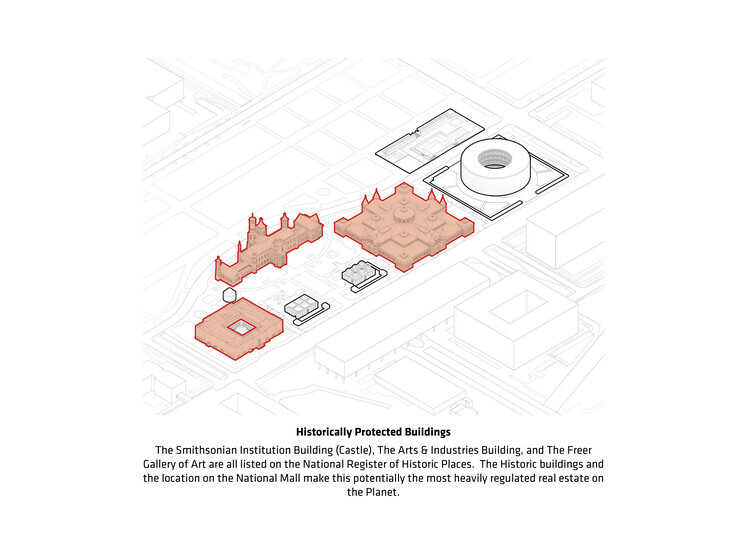 The masterplan provides a path forward to exceed federal guidelines on environmental performance while creating a unique and exciting identity for the Smithsonian.